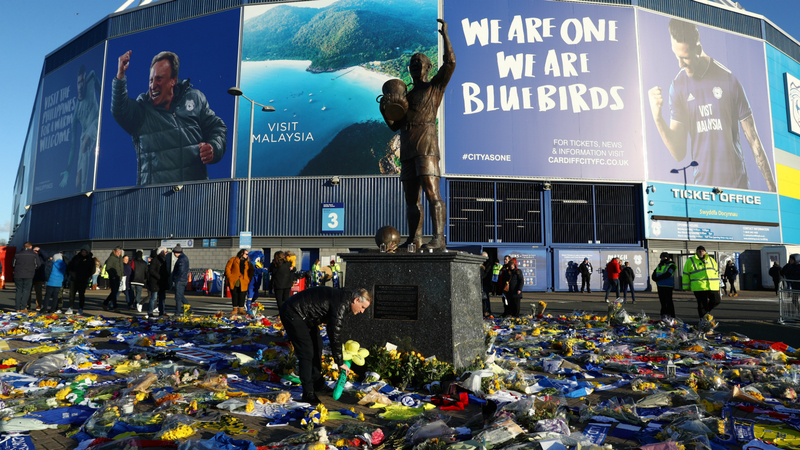 A body has been successfully recovered from the wreckage of the plane that went down in the English Channel with Cardiff City striker Emiliano Sala on board. The UK's Air Accidents Investigation Branch (AAIB) confirmed late on Wednesday the victim, who has not been publicly identified, will now be passed to the Dorset Coroner, having been recovered with the help of specialist contractors. The Piper Malibu aircraft disappeared with Sala and pilot David Ibbotson on board on January 21. The AAIB said one of the occupants was visible amid the remains of the plane and have now confirmed a recovery has been successful. However, it said attempts to retrieve the aircraft have been stopped due to bad weather. Sala had been traveling to Cardiff after saying goodbye to his former teammates at Nantes, having sealed a transfer to the Premier League in a club-record deal for the Bluebirds. Nantes have reportedly demanded the first €6 million installment of the transfer fee, with Cardiff chairman Mehmet Dalman insisting they would send the payment "when we think it's the right time to do it". "The first reason is that the body has not been recovered yet," he told L'Equipe about the lack of payment so far. "We must show respect to the family. There is a process for recovering the plane."